A lovely little church and stop for tired travellers. On the way south from Bend, Oregon yesterday, the Girl and I needed a rest stop. 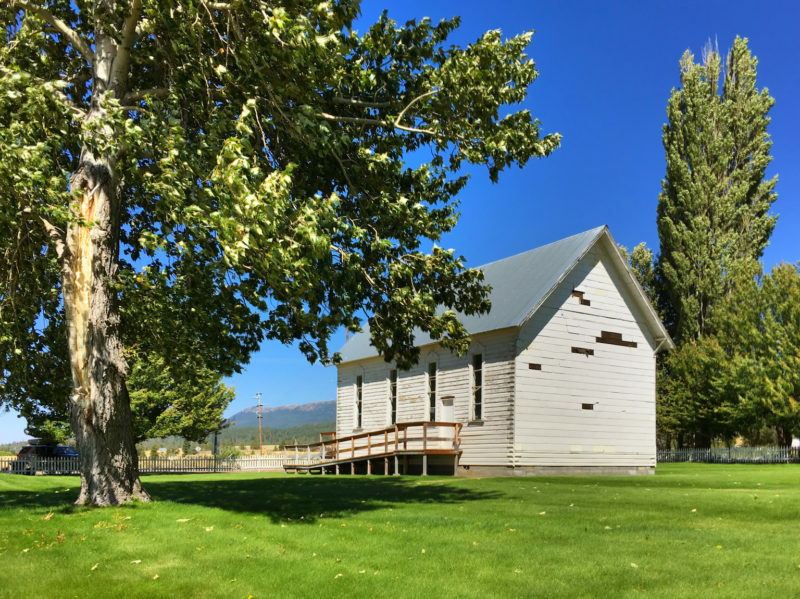 Not long after crossing the California state line, I saw this little church aside the highway and noticed a picnic bench in the shade of the large trees. I spiked the brakes, startling the Girl, and pulled in. I got out, let her out, and retrieved my sandwich from the cooler, grabbed my waning back of chips, and snagged the water bottle. The Girl asked for water and drank plenty. Then, while she sniffed about, I ate my sandwich and prayed appreciation for the gift of this little community to this traveling old man. After a bite, we walked the area, peeked inside the church (it was NOT locked), and I made a few more captures. I’ll have to assemble them and make another post… or edit this one later. This church reminded me of the one near my family’s home in St. James, Missouri. There, Wife and I attended services for a number of years. The pastor was a favorite old friend, who also was a professor of mathematics at the university I attended.